Kristen Tryniszewski is a Nationally Certified Counselor, QMHP, and currently working towards licensure as a LPC. Kristen has experience providing counseling, case management, quality assurance, and teaching psychology courses. She believes in holistic healing and incorporates creative methods into her practice such as yoga, art, gardening, mindfulness, music, animals, and nature-based concepts. 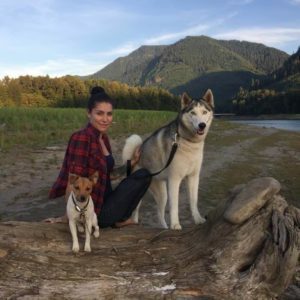 Kristen grew up in California and currently resides in Portland where she loves exploring the beautiful outdoors with her family and fur-babies.